Prompted by funding and recognition from the Big Ideas@Berkeley contest, a group of Cal students headed by Mechanical Engineering graduate student Julia Kramer is seeking to establish a sustainable training program called “Visualize” for midwives in Ghana. In a country where only five percent of women have been screened for cervical cancer, Visualize aims to create a system in which midwives receive the essential skills and tools to perform a visual inspection of the cervix with acetic acid (vinegar). The inspection method, known as VIA, is a low-cost and effective way to screen for cervical cancer, but it is not widely used in Ghana and other countries due to a lack of training and awareness. 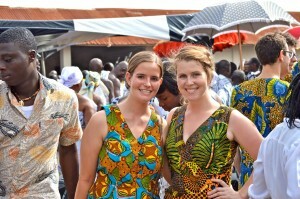 Julia Kramer and Maria Young pioneered the VIA training program in Kumasi and Accra, Ghana in June 2013. Kramer and Maria Young first conceived of the project as undergraduates at the University of Michigan. 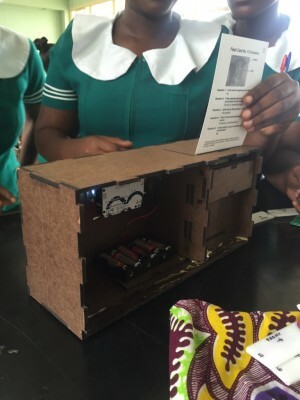 “We were part of a group of five engineering students who spent eight weeks in Ghana for a cultural immersion and design ethnography experience,” said Kramer. At Michigan, she and her collaborators developed the first few prototypes of a VIA training simulator, based on design requirements they developed at two major teaching hospitals in Ghana. At Berkeley, Kramer teamed up with fellow Mechanical Engineering and Haas School of Business students Abhimanyu Ray, Karan Patel, and Betsy McCormick, to develop the midwife VIA training concept. Visualize’s faculty advisors include public health professional Kyle Fliflet and Mechanical Engineering Professor Alice Agogino, who is chair of the Development Engineering graduate group. Kramer explains that her project was motivated largely by interactions with midwives, nurses, and doctors in Ghana, along with substantial data supporting the need for more cervical cancer screening. Annually and worldwide, 275,000 women die from cervical cancer. Eighty percent of deaths occur in developing countries, which often do not have the medical infrastructure to diagnose and treat cervical cancer. VIA has been proven to serve as a low-cost alternative to methods like the Pap smear. A 2008 International Journal of Gynecology & Obstetrics study found that VIA could reduce mortality rates by 68 percent. Through midwife-administered VIA tests and subsequent treatments, the Visualize team estimates it can avert 150,000 deaths per year. The VIA method is not only cheaper than a Pap smear—if properly performed, it also can be equally effective. The method works as follows: a midwife performs a preliminary pelvic examination; she inspects any pre-existing abnormalities; she applies a small amount of table vinegar in the cervix; if acetowhite lesions appear, cancerous cells may be at work. 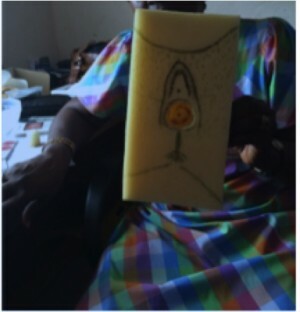 A Ghanaian midwife holds a visual aid of the cervix. If there are signs of pre-cancerous cells, the midwife may perform cryotherapy, a procedure that freezes off cervical abnormalities and eradicates cancer cells. In a 15-year controlled trial of 151,000 women ages 35-64 in Mumbai, India, the mortality rate in the cryotherapy treatment group was reduced by 31 percent. There are, however, unique challenges and financial hurdles to implementing Visualize. According to Agogino, “One of the biggest challenges is identifying infrastructures that already exist for training midwives, so the midwives can eventually train other women in Ghana.” Indeed, the Visualize team is exploring whether it is viable to incentivize women to recruit and train other women, particularly to reach remote areas. A group of Ghanaian women undergoing training with the use of a box that serves as a replica for the VIA training simulator. Kramer and her colleagues also must walk a fine line between American and Ghanaian public health and other cultures. “Since one of the main goals of this project is empowerment, we want to remain very careful about overstepping our bounds and ensuring mutual respect,” explained Kramer. The Visualize team plans to use various media—television, radio, billboards—to market the availability of midwives for cervical cancer screenings. In addition, the team is collaborating with the Ghana Ministry of Health and Ghana Health Services to vet and publicize its efforts. So far, response from Ghanaian government agencies has been positive. Visualize has found several partners, including the Kumasi Nurses and Midwifery and Training College and the Ministry of Health. Its next step is to identify the location of its first training program. The project will be running a fundraising campaign from September 14 until October 14. For more information, go here: crowdfund.berkeley.edu/visualize.